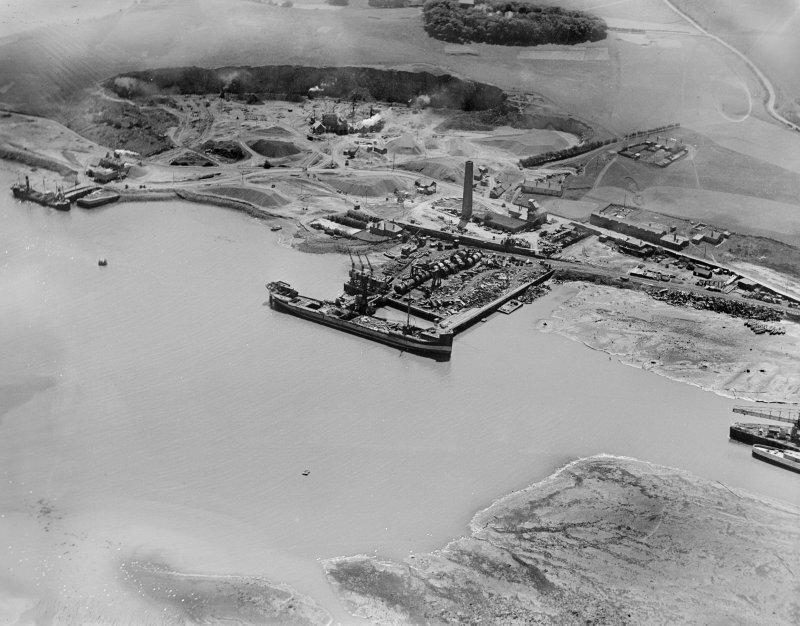 Tilbury Contracting and Dredging Co. Ltd. Quarry and Thomas Ward and Sons Shipbreaking Yard, Inverkeithing. Oblique aerial photograph taken facing south. Description Tilbury Contracting and Dredging Co. Ltd. Quarry and Thomas Ward and Sons Shipbreaking Yard, Inverkeithing. Oblique aerial photograph taken facing south.